The brachio is also going to have it's neck edited in its animations to keep the upright pose to reflect the movies. All dinosaurs will also be the correct size using the model of male guest as a scale; yes, that means the brachio is now 50 feet tall! I'm very excited to start working on the project again and I hope that by finally completing it that I can perhaps spark the JPOG modding community back into some action. Welcome back Megaspino ! The new models look great ! Yeah, that was my first thought before I opened this thread. I agree, JWE is a disappointment and big missed opportunity, and it all starts with the philosophy and how those developers have approached that game (quantity over quality, no substance to the park building, and many other strange things). Blue Tongue they are not. All dinosaurs will also be the correct size using the model of male guest as a scale; yes, that means the brachio is now 50 feet tall! Awesome! I love this attention to detail. Welcome back, Megaspino. Those models are shaping up real nice so far! That sounds amazing. I can't wait to see the Spinosaurus up against a human in the scale. JWE left an extremely sour taste in my mouth which was catalyst for me wanting to do this. Actually the spino is one of the most of accurately sized dinosaurs in the game. 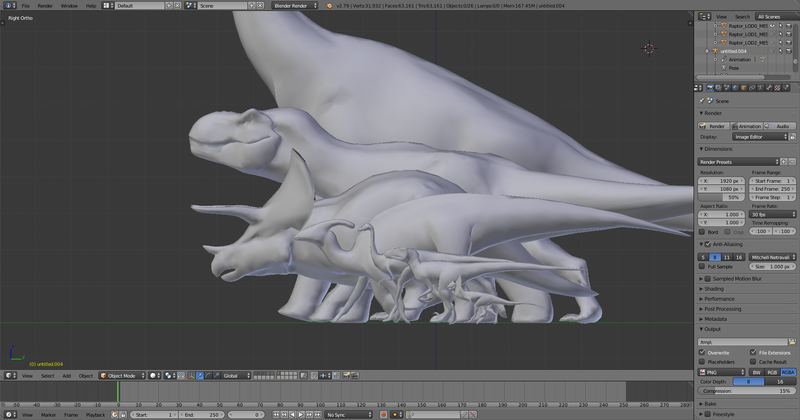 The top of the head is 16 feet which is accurate to the JP3 size chart. I'm also experimenting on how small is too small in this game. For example, the juvenile dilopho is oversized at 5 feet tall when it should be 3 feet. The compies are even smaller; should I make the compies the accurate size or should I just leave them at a decent size so that you don't need a microscope to see them? So happy that this FCM revival operation is under way, and I wish you the best outcome possible. If I may make a small suggestion that can help this project move forward, I would say that if you post your project on social media like Facebook and other modding sites, then surely a host of followers and potential helpers. And this is just drawing from my college career at University of Colorado Denver. Not that I can’t offer my services as an announcer to the Dinosaurs, of course I can. P.s. 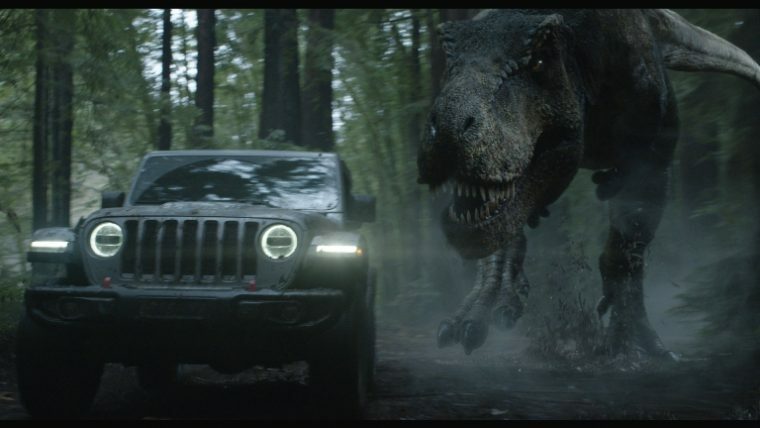 as much as JWE doesn’t hit some notes for me, I would rather be constructive about it, and have been constructive to the dev team about my feelings for JWE. I don’t find it as rocket science. I think I was mainly concerned with the Spino's length since the original JPOG dinopedia had it at 15 meters, despite that not being the case with the size chart. But I am really glad to see this coming back anyway. I haven't played JWE or JPOG in months, but I might start up JPOG again because of this. I probably won't touch JWE until classic stuff comes out for it, unfortunately. I'm glad that I can work on this again too! I really am excited for how it's going to look when it comes together; hopefully I can really upgrade JPOG a lot. I had a FB page for the old version of the mod so perhaps I'll edit revamp that page or create a new one (revamping would be better since it actually had a following). I actually went into a long winded post about my criticisms of it on reddit and here too. To make a long story short it's a bit too shallow for me and I didn't feel the need to keep playing. That's when I got bummed out about the missed opportunities and thankfully I now have the time to take things into my own hands with JPOG and give the community something that has been in the works for a really long time. It's only about 7 feet larger in length so it still is pretty accurate, especially when you consider how undersized the stego and brachio are. 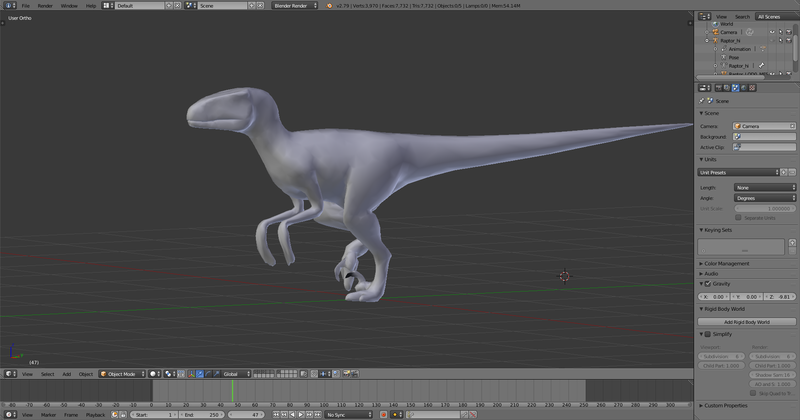 I should have some more updates soon, I'm starting to work on the dilopho and the raptor right now. #1: Will the there still be dinosaurs from the old FCM HD mod like the Herrerasaurus and the Troodon ? #2: Will this mod will be on moddb and will it be relased sometime in 2019 ? #3: Will the Mamenchisaurus will be in the mod ? The old dinosaurs will be in, no JW dinosaurs though. I'm actually planning on putting it on Moddb once I have some more pictures since you need at least 5 pictures to post your mod and I don't want to be the guy who posts the same picture over and over to reach the limit . Mamenchi will be in the mod; it's a perfect candidate since we can edit models and animations now. This means the animations won't be so janky (the old one had very strange things happen with the neck when it bent). @Megaspino2 That's awesome to hear and if you want the lost world Mamenchisaurus sounds, I found this mediafire link that someone made. Those are actually a cleaner rip than the ones I have on file, thanks for that! Does the dilophosaurus has a bigger frill ? It actually does, the frill on the JPOG dilopho looks a lot smaller than the proportions of the frill the dilopho in JP had. I sized it up a bit. Indeed, yes. Now, considering the new buzz about the list of dinosaurs in the FCM revival (no JW dinosaurs), I’m starting to get the impression that Apatosaurus isn’t on the list for this revival. Despite this, I was under the impression that Apatosaurus was part of the ingen list from the start (times have changed) and assume the sauropod to be part of this revival, along with Allo (TLW style), Albertosaurus (Trespasser style) and Edmontosaurus Annectens (TLW arcade style). But then again, correct me if I’m wrong. EDIT: perhaps i am mistook, Apatosaurus is not available until after the events of JP3 according to the Dinosaur Protection Group. Nonetheless, I'd be quite happy to see Carno, Bary, and Edmontosaurus Annectens appear in this revival. I was under the impression that the boneyard prior to the raptors in the worker village scene in TLW was evidence that they had at least been cloned by InGen at some point. Same for Maiasaura or edmontosaurus (I forgot which it was) with its skull being seen in the rex nest. Apato will be in, however, I'm not sure about the other dinosaurs (like TLW ps1 allo). For now keep those in the back of your mind. I do have plans for them, perhaps released as DLC. Most likely Edmontosaurus (Anatosaurus) Annectens as the skull in the Rex nest is the dead giveaway. should I make the compies the accurate size or should I just leave them at a decent size so that you don't need a microscope to see them? Go accurate size, I'd like to see how they look in-game amongst the environment. Unless that creates more issues on your end. I don't think that an accurate-to-scale Compy has been made available for JPOG yet. Shrinking models is quite easy, sizing up becomes a bit tedious (since the model will float above the ground and you need to edit all the animations to compensate for this). I already have a 3 foot-ish dilopho in the game, so a 1-2 foot tall compy isn't much smaller. To my knowledge nobody has made a size accurate compy, although to be fair Moddb is flooded with mods so maybe someone threw in an accurate compy in one of those. Yeah, but I want to stay away from JW stuff at the moment. If Allosaurus was edited for this mod or in DLC it'd have TLW ps1/TLW toyline skin and design. Ah okay and also the same guy who made the The Lost World Jurassic Park Mamenchisaurus actually made the The Lost World Jurassic Park Compsognathus sounds too. I actually had those clean compy sound clips, but thank you for posting! Edit* Hot off the press, the updated raptor model! I'm really impressed with how that one came out. 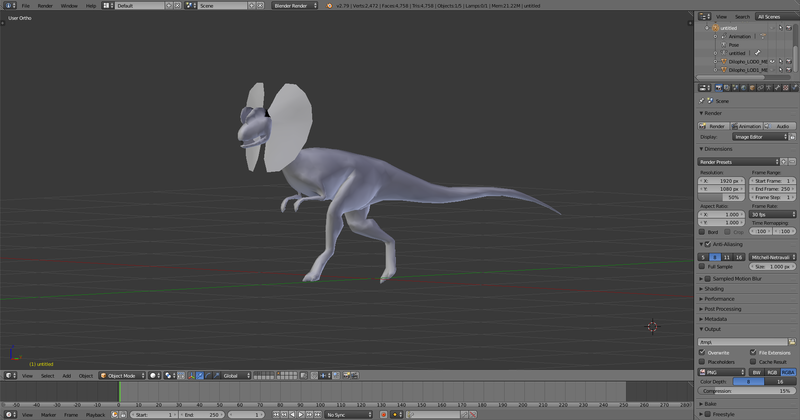 Which dino model will be used as the base for the Compy? 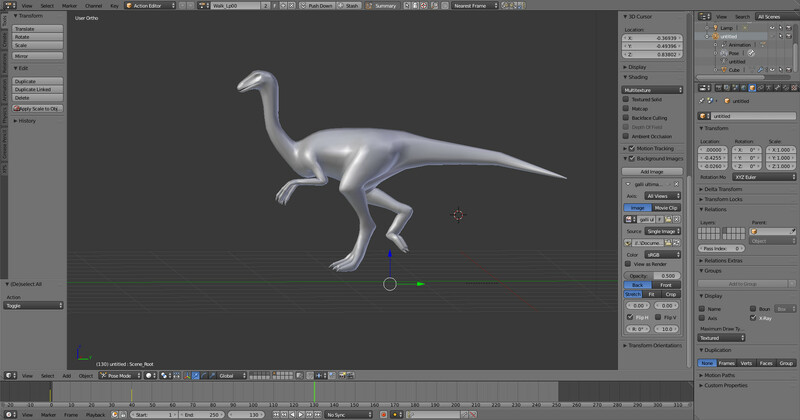 Is it possible to apply that 'idle Raptor jump' animation onto its model with the program? Will you be basing its skin off of TLW puppet or the Chronicle Collectible statue? 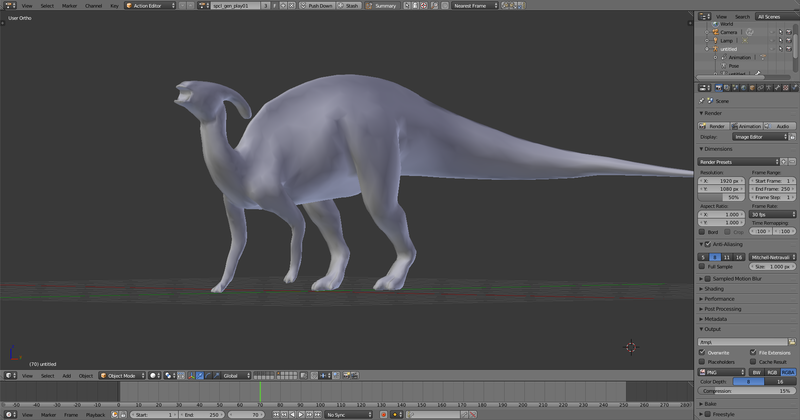 Will the Mamenchisaurus model be based off of its film look, or will its posture be closer to real-life reconstructions? Honestly, being closer to real-life appearance is one change I'd prefer over the film. And, I don't know what happened to FTK, but are the biomes still going for individual film look? I think that it's cool that you're considering soft canon species as possible post-release DLC and that some TLW skins for the 1997 PS1 game may live on here. I was thinking possibly the galli model heavily modified could work; I could do a custom model, but it would take a while to model and work out the kinks of rigging and weight painting. Theoretically you could copy and paste animations so a jump is possible. The real issue though is making the compy a carnivore since if I give it the raptor or other small carnivore Tclass you'll have compies attacking large herbivores which really doesn't seem practical (even if there's a huge group). I could use the dilopho Tclass, but then it'll spit. I was thinking of making it a herbivore and making it so it doesn't eat. If we could edit Tclasses then we could make them attack only small herbivores, but that isn't possible right now. I believe the puppet and the statue use the same skin (the statues seem to pay very close attention to detail/accuracy). I will most likely be using the film version; the snake neck isn't scientifically accurate, but then again neither are most of the dinosaurs in JP. They're accurate in height currently, their length is slightly longer because of how sizing up works (you scale the whole skeleton instead of body parts). I'm looking into bringing the length down a bit though (since right now the length of the adult rex is around 50ish feet). Unfortunately you'll need to play JWE for concrete smashing raptors . Currently I'm not sure what to do about the biomes. I could integrate them into paleo and modern trees, but that might limit the amount of trees from each biome. For that reason I may just separate them and the player will need to switch them out. Thanks for the info, sounds good. Those CC busts do have really nice details. As for Compy behaviors, I made an edit of the Dilo .nwt and made some perception input/output changes so that having Compies on your island can mostly work. They work as carnivores in-game (I think that I used Raptor Tclass), and I made the carnivore feeder model into one of the tree models for more natural aesthetics. The feeder/tree dispenses inanimate meat piece models rather than goat models (I just disabled the goats ability to move in its .ini), and they act as a way for Compies to be 'scavengers' when the feeders/trees are scattered around or put in designated areas that you'd like your Compies to occupy. The edit makes the Compies perceive goats (and cows maybe) as a food source and nothing else. Also, large carnivores completely ignore Compies, while medium/small carnivores can target Compies as a possible food source. It's low impact with how it works with the other species, for example, none of the herbivores will go into panic mode. About the biomes, yeah, you could separate them and leave it up to the players to swap out which trees they prefer to use. No need to put a limit on the nice aesthetics which go a long way in bringing out a lot of the games' atmospheric qualities. As for Compy behaviors, I made an edit of the Dilo .nwt and made some perception input/output changes so that having Compies on your island can mostly work. They work as carnivores in-game, and I made the carnivore feeder model into one of the tree models for more natural aesthetics. The feeder/tree dispenses inanimate meat piece models rather than goat models (I just disabled the goats ability to move in its .ini), and they act as a way for Compies to be 'scavengers' when the feeders/trees are scattered around or put in designated areas that you'd like your Compies to occupy. The edit makes the Compies perceive goats (and cows maybe) as a food source and nothing else. Also, large carnivores completely ignore Compies, while medium/small carnivores can target Compies as a possible food source. It's low impact with how it works with the other species. Maybe with your compy setup you could clone the meat model into an insect or group of dragon flies or something. Pretty sure they'd be a big part of the compies diet. Also it might be possible to make fallen trees and rocks with model editing and those could really go to enhance the atmosphere (especially in Sorna's biome). The default one was just too low quality to edit well so I decided to make an entirely new model from scratch. It actually came out with a decent poly count (about the same as the other models) but it has a bit more detail and symmetry in the vertices that makes it look nicer than the other edited models. 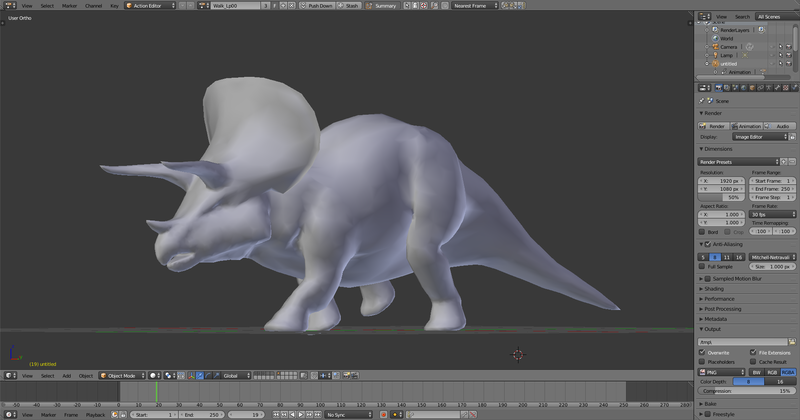 Because of this I've been considering modeling all the dinosaurs myself; this would take more time but it could mean higher quality models. I'm currently taking suggestions on which route I should go, either remodel all the dinosaurs in this manner or just the ones that have low quality models/dinoaurs that aren't represented in JPOG.